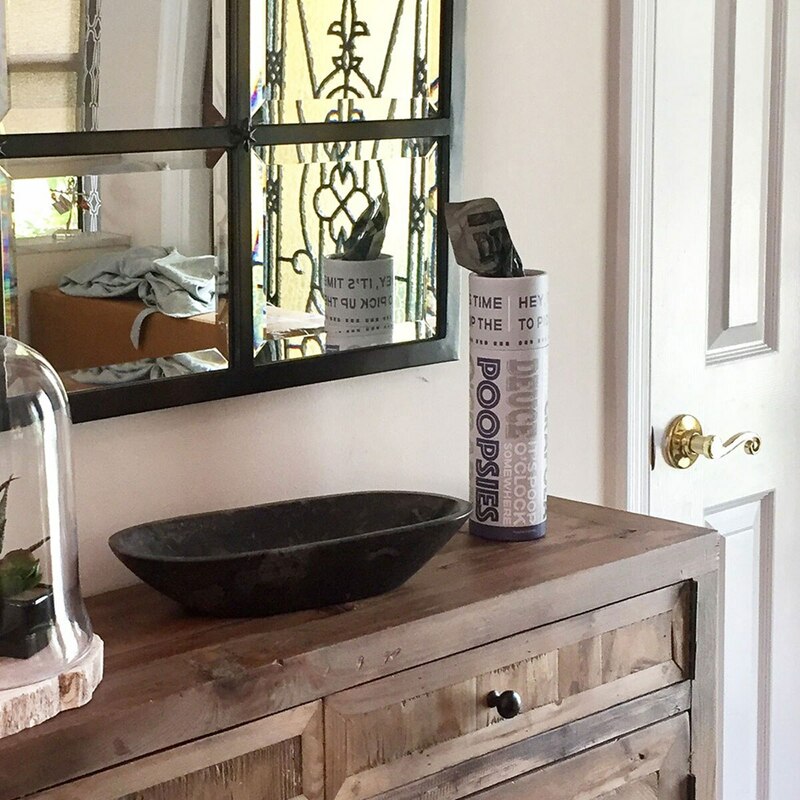 An organized and fun way to store your poop pickup bags in your home. 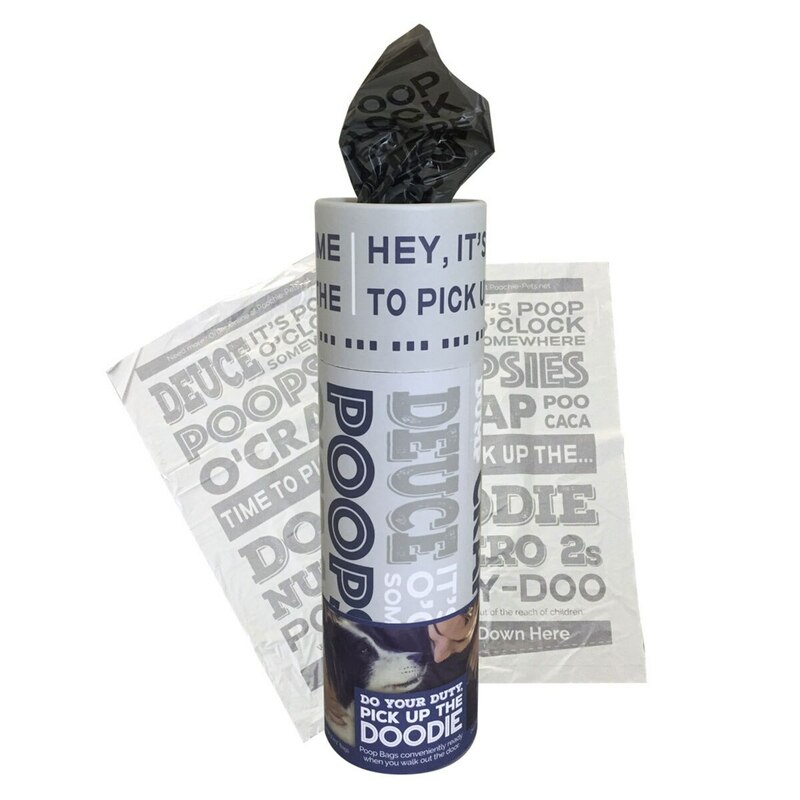 Upright decorative canister stores and dispenses eco-friendly poop bags from the top. Complete with 75 oversized eco-friendly poop bags making outdoor poop cleanup a breeze. Whimsical canister design looks fun yet functional in your home. No more piles of unused grocery or plastic bags. Great for by the door, mudrooms, in the car, and within easy reach. 75 large (9″ x 13″), eco-friendly, imprinted bags. Measuring 9″ tall by 3″ wide. Stay organized - No more piles of unused grocery or plastic bags! Deeply cleans to remove all pet mess traces, discouraging the spread of unsanitary pet waste. Pet-block system removes pet pheromones and destroys odors on contact to prevent re-soiling. Faster drying to minimize tracking.